Sony tried, they really tried, to make their proprietary Memory Stick flash memory cards catch on, but the slot in their HDR-AS30V Action / Helmet camera accepts both Memory Stick Micro and MicroSD cards. 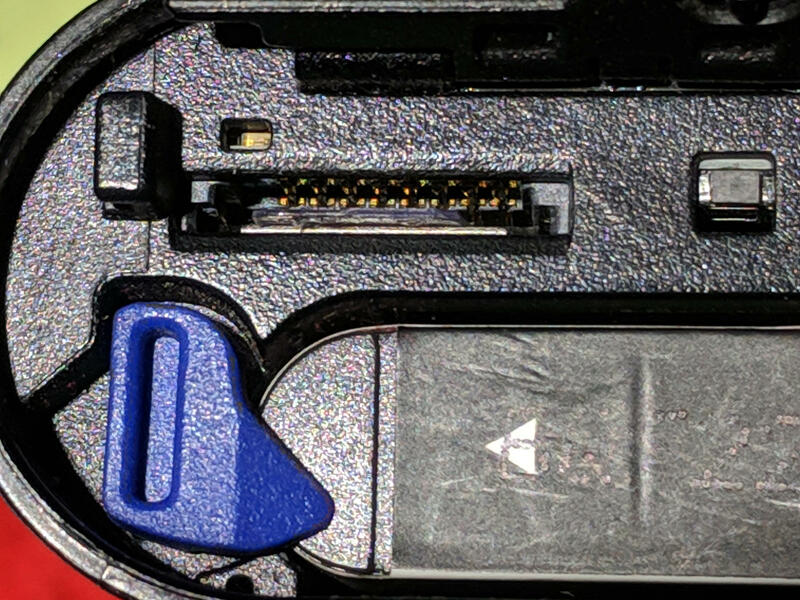 The two cards have slightly different sizes, the AS30V’s dual-purpose slot allows MicroSD cards to sit misaligned with the contacts, and the camera frequently kvetches about having no card. The only solution seemed to be starting the camera while watching the display to ensure the card worked, but it would sometimes joggle out of position during a ride. Not the best cutting job I’ve ever done, but it was an iterative process and that’s where I stopped. If this works and I have need for another / better spacer, I promise to do better. The spacer’s somewhat mottled appearance comes from tapeless sticky (an adhesive layer on a peel-off backing: inverse tape!) applied to the top side, which will affix it to the slot. 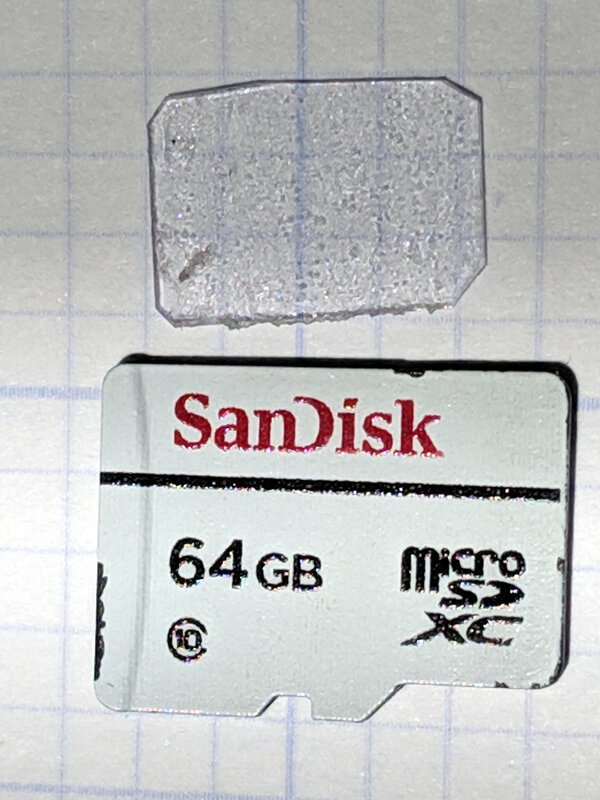 I’d rather glue the spacer to the MicroSD card, but then the card wouldn’t fit in the USB 3.0 adapter I use to transfer the files. The chips along the left edge of silkscreen come from my fingernail, because pressing exactly there seems to be the best way to force the damn thing into the proper alignment. And then It Just Works™, at least on the very few rides we’ve gotten in during December and early January. Incidentally, the blue and exceedingly thin latch finger holding the battery in place will snap, should you drop the camera on its non-lens end from any height. Conversely, should you drop it on the lens end, you can kiss the optics goodbye. Your choice. This entry was posted on 2019-01-23, 07:04 and is filed under Machine Shop, Photography & Images. You can follow any responses to this entry through RSS 2.0. You can leave a response, or trackback from your own site. I’m surprised it’s survived all these years, not least because of the skeleton frame’s tenuous grip on the helmet adapter.